Any analysis of the Middle East would be remiss without factoring in Israel. Israel has been playing a rather muted role in the unfolding globalist gambit - mainly because any Israeli involvement in supporting these staged revolutions would instantly taint them and ultimately derail them. Interestingly enough, the limited role Israel has been playing includes using this phenomenon, a political "touch of death," to target the various national oligarchies being swept from power. 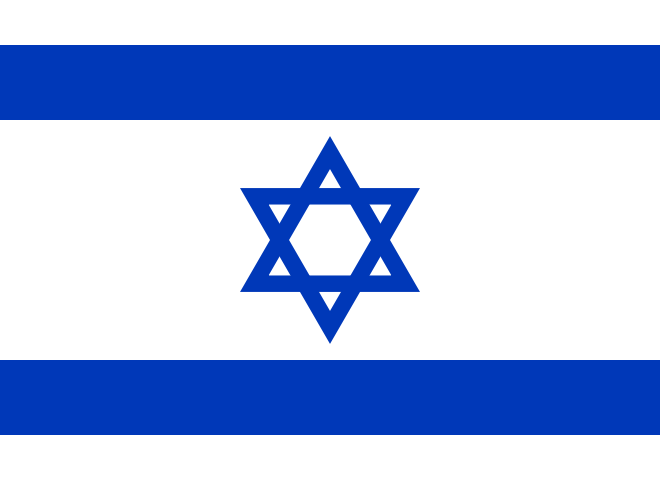 used by the globalists and there are good Israelis. and undermine entirely the efforts of the good. The first prominent example of this occurred during Hosni Mubarak's besieging led by International Crisis Group stooge Mohamed ElBaradei and the US State Department trained and equipped April 6 Youth Movement. Israel made very overt, in fact, quite oafish statements of support on Hosni Mubarak's behalf including unverified claims of airlifts bringing the embattled dictator "riot equipment." The United States, to a lesser extent, at first capitalized on anti-American sentiment by making similarly oafish statements of support to poison the Mubarak regime, before openly admitting to funding and supporting not only the Egyptian protesters, but the Tunisians, Libyans, and beyond. "Further, Egypt’s close relationship with the United States has become a critical and negative factor in Egyptian politics. The opposition has used these ties to delegitimize the regime, while the government has engaged in its own displays of anti-Americanism to insulate itself from such charges. If ElBaradei actually has a reasonable chance of fostering political reform in Egypt, then U.S. policymakers would best serve his cause by not acting strongly. Somewhat paradoxically, ElBaradei’s chilly relationship with the United States as IAEA chief only advances U.S. interests now. " Fully realizing US or Israeli support for ElBaradei in Egypt would destroy any chance for the "revolution's" success, it appears that the cartoonish act of overtly supporting Mubarak in the early stages of the unrest was a deliberate attempt to shift the ire of the Egyptian people toward him, and their suspicions away from globalist stooge ElBaradei. This has played out in Libya as well. Again, unverified reports of mercenaries hired by Qaddafi through Israel, armed with Israeli weapons swept through the Israeli press. Upon reading the reports, the "evidence" is hearsay from the Libyan rebels themselves. These reports of mercenaries helped not only demonize Qaddafi and render him "illegitimate" in the opening stages of the conflict, but also helped members of the Arab League garner support domestically for UNSC r.1973. With the war now in full swing, these "mercenaries" are no where to be found, and the story effectively swept under the rug. In fact, during a particularly frank, pre-UNSC r.1973, International Institute for Strategic Studies (IISS) military briefing, Qaddafi's military was identified as two professional forces divided into eastern and western brigades of approximately 10,000 men in total. IISS analysts would go on to refute claims that Qaddafi was intentionally targeting civilians noting that by doing so, he would only be fueling efforts by the West to use military force against him (16:26 & 1:00:00). When asked about mercenaries (53:00), the IISS conceded to having no credible evidence. A frank IISS military briefing on Libya, before UNSC r.1973. Now, perhaps the most ridiculous of all, is an effort to taint the Assad regime of Syria. Hareetz of Israel recently published an op-ed titled "Israel's Favorite Arab Dictator of All is Assad." In what is certainly over-the-top cartoonish propaganda, we are told that Assad's advocacy toward resisting Israel was merely a "slogan" and "hollow, serving the regime merely as an insurance policy against any demand for freedom and democracy." Of course the arms, fighters, and training that transited Syria into Hezbollah's hands in Lebanon, who handed the aggressors within the State of Israel their first bitter defeat on the battlefield, seem a tangible rebuttal. While the Hareetz piece claims Syria is fighting Israel " to the last Lebanese," the people of Lebanon are most likely satisfied with the results of the 2006 campaign to defend their nation and the wide berth it afforded them and their allies. Understanding that Israel is comprised of two types of people is key to understanding Israel's role in the Middle East and subsequently their role in the recent "Arab Spring." The first are people who truly live in Israel, recognize it as their home and realize that perpetual militancy and aggression toward their neighbors is neither beneficial nor sustainable. The second type consists of the same godless, self-serving lost humanity that have hijacked nations across the globe as part of the corporate-financier oligarchy's bid to institute world government. They are using Israel as a beachhead of sorts to project their agenda throughout the Middle East. Their actions, including the ongoing apartheid against the Palestinians and unilateral military aggression towards neighboring nations are not indicative of a nation interested in its own self-preservation. Like the United States which is being bleed to death both literally and financially, those doing the bleeding in Israel are "globalist" in nature, who do not see borders and do not consider themselves to be of any particular religion, race, creed, or nationality. Such contrivances on their part, is merely political camouflage devised to lend them credibility when they otherwise have none. The whole world is their oyster, and the nation-state their plaything. Separating these two groups in Israel is essential in both understanding its role in the Middle East and helping to ensure those who truly consider it their home prevail against those maliciously using it for their own ends with the full intention of discarding it once they are done. By perceiving Israel as a sort of "black capital" of a "Zionist empire," we carry water for the globalists in their bid to divide and conquer through preying on our petty prejudices. We also lump together and undermine those in Israel that are fighting against the globalists' exploitation of their nation and their people, who are just as lied to, misled, brainwashed, and manipulated as the people of America, the UK or Europe. By understanding the Israeli factor and that those behind it are neither Israeli or Jewish, or even Zionist, we can understand it is but a gambit within a gambit towards building world empire, thus allowing us to move on to targeting the real culprits.